Kurma’s vegetarian cuisine is attracting food lovers from all cultures with its exotic flavors, delicate spices, superb nutrition and positively addictive taste. Now the best, most delicious dishes from Kurma's class books, “Great Vegetarian Dishes,” “Cooking with Kurma,” and “Quick Vegetarian Dishes,” are more accessible than ever to contemporary cooks in this superb editions—“Vegetarian World Food,” the best of cooking with Kurma—a sublime gourmet experience. A compendium of Kurma’s best international recipes. Going vegetarian has never been easier—or more tasty! 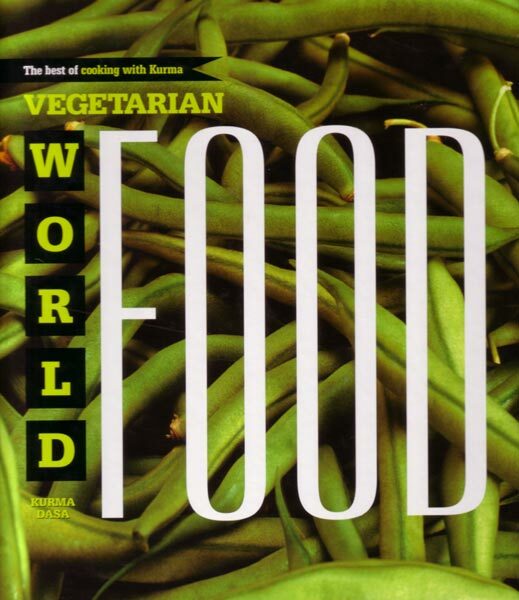 The latest cookbook by Kurma brings you guilt-free, mouth-watering dishes from around the world. This is the cream of the crop of his favorite recipes in a variety of international flavors. 321 new recipes.